This week we looked at constructing knowledge and transforming knowledge. Knowing the difference between them will assist in developing the unit plan we are to develop for our assignments. So what are they??? Constructing knowledge is when students learn about concepts, facts or procedures. The key word here is LEARN. This can be achieved through teacher directed learning. Students are required to follow steps, explore and identify. Transforming knowledge is when we ask students to apply their constructed knowledge and make meaning and transform their learning. The key word here is APPLY. This is were students demonstrate they have learned specific skills and are able to evaluate and analyse the information. Through my work as a teacher aide, I come across some fabulous ICT tools that engage and educate students. 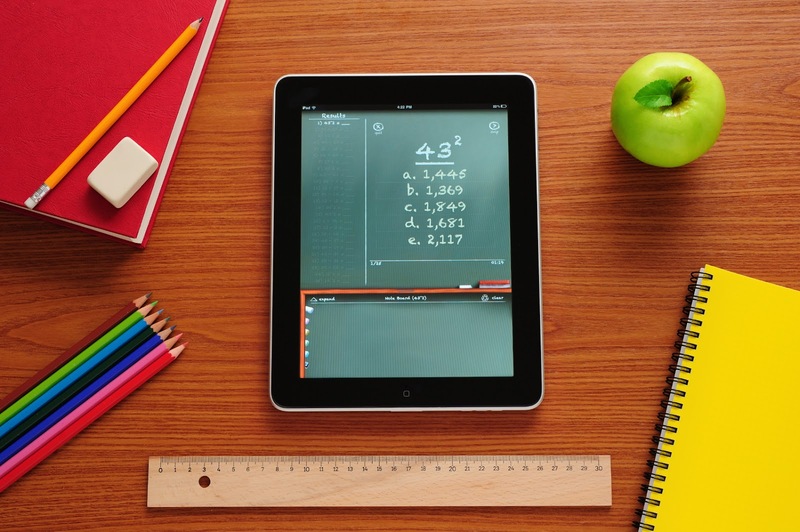 Mathletics is one of these tools. This online interactive learning tool has activities that align with the Australian Curriculum and allows students to work at their own pace. Mathletics provides different levels of ability thus giving the teacher the ability to provide differentiation in the classroom. Dann, C. (2017). EDC3100 ICT and Pedagogy: Course notes. Toowoomba, Qld: University of Southern Queensland. This week the RAT model was introduced. Very interesting. I have not thought about this before. It is a model to follow to ensure that you as a teacher are not using ICT ‘merely as a different means to the same instructional end’ (Hughes, Thomas & Scharber, 2006) but amplifying or transforming your students’ learning process. One of the requirements for this blog is to build a concept map that displays our ICT networks. A concept map can be used in many ways in the classroom. A concept map can help students to visually organise their ideas and can easily be used within any content area (WETA, n.d). There are two ways a teacher could use a concept map. Print one from online or have older students create one online. Below is an example of how to use a concept map online. 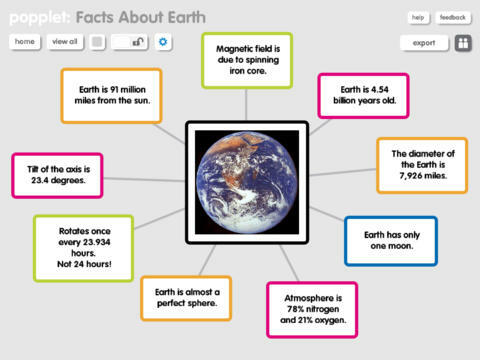 I found this concept mapping tool from Popplet very easy to use. This week sees the commencement of semester 2. The beginning of my 3rd year of study. The beginning of each semester is packed with information (assessment pieces, expectations, readings etc.) and this semester is no different. Sifting through my 3 subjects this semester, I discover there is a component of ICT in each of the them. I have now realised the importance ICT has in the classroom. It has now become a feature of the everyday learnings of our students. In this first week, we looked at what supports teachers to become ICT literate (Dann, 2017). There were 10 dot points, but the one the stood out for me was policy issues. Before we even start to consider implementing ICT into the classroom as part of our everyday practice, we need to ensure we know the policy and procedures of the school. We also explored setting up our blog page. What a wonderful tool to use in the classroom. A class blog could be set up for students to use as a discussion forum. It could be used for a unit topic as students could post blogs on what they have found out about the topic and share with their classmates. As I have discovered, a blog is easy to set up and can provide a network for people to share their ideas and thoughts. Dann, C. (2017). EDX3100 ICT and pedagogy. Course notes. Toowoomba, Qld: University of Southern Queensland. Whilst I have been exposed to a lot of technology over the years i.e. computer, ipads, smartphones, I feel that as a pre-service teacher I now need to delve deeper into how to utilise technology to enhance the learning experience for my future students. After completion of this course I intend to be a teacher that can deliver meaningful and purposeful lessons that incorporate ICT within the Australian Curriculum. I am a third year student studying a Bachelor of Education (Primary). The creation of this blog is a requirement as part of a technology course within this degree. The main purpose of the blog is to “encourage metacognition.” This blog is for me to record and share my thoughts and reflect on my learnings.